Do you know about reseller hosting? If you are thinking about starting an online business, you probably think your best bet is to have some kind of blog or online store. Maybe you’re looking at a YouTube channel, or mentally populating your Patreon. These are all viable options, and are possibly the only ones you’ve heard of. But as it turns out, you can make some money on the back end of things, especially if you understand basic code. If someone has a small website that needs less than a hundred gigabytes in a month, spending more than R100 on a hosting package doesn’t make business sense. It makes even less sense if that 30GB a month is on a hobbyist endeavour, or a small store that’s just starting out. Their best bet is to ‘sub-let’ server space for a fraction of the fee. 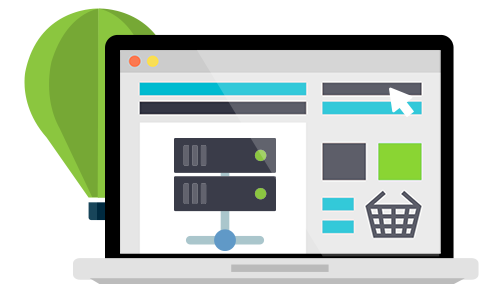 This service is called reseller hosting, and it’s a profitable business choice. When you sign up for reseller hosting and become a reseller, you buy a big bundle of bandwidth from someone like us then parcel it off for your ‘sub-let’ customers. We already have packages, and if you’re interested in becoming a reseller, we offer rebates of up to 20% of the prices listed on our website. Why else should you resell with us? As a reseller, you have your own control panel, but you also have separate control panels for each of your customers. You can manage their control panels and we’ll manage yours for you. But if you’d like deeper technical assistance, we can manage both your reseller panel and the panels of your customers. We don’t tie you to a contract, so if you’re unhappy at any time, it’s a stress-free exit clause. To find a reliable hosting reseller – or to become one yourself – call HostAfrica today.